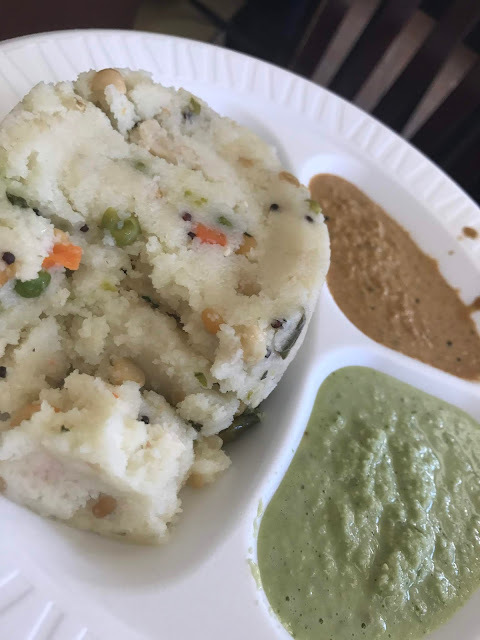 Many cultures cook soupy rice dishes, but only pongal adds cashews, curry leaves, cumin, black mustard seeds, and saffron - and those things turn out to be key! Available sweet (sakarai) or spicy (ven); we're big on spicy ven pongal pretty much the linchpin of Tamil cooking. It's yet another Breakfast Paradox dish (like Chinese dumplings - natives eat it only for breakfast, while outsiders crave it for lunch and dinner). 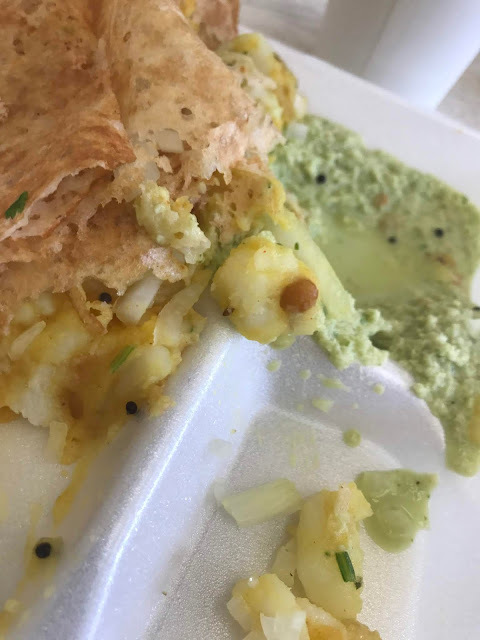 * - I ate at Dosa Hutt before it was widely known, I ate there when it was a foodie destination, and I still eat there now when everyone believes they know a better place (often the Canteen inside the temple itself). I have a reputation for being restless, but I'm also very very loyal, and I'll give up my Dosa Hutt dosai why you pry them from my cold, dead hands. yum I just ate and now I want that food. All of it. Any thoughts on poutine Jim? My friend had brisket poutine from SD and now he wants moar.